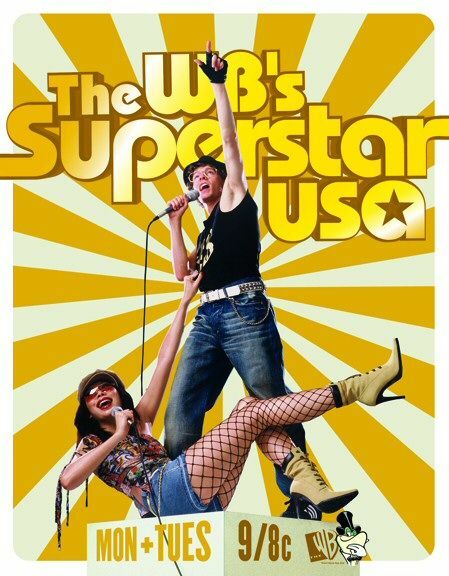 The WB SuperStar USA was a mock of American Idol (which had finished it’s first or second season around this time). There were three judges, who were to represent Simon, Randy and Paula, they were Tone Loc, Briggs and Vitamin C (yes, Graduation, Friends Forever Vitamin C). The judges went around the country in search of young vocalist in a music competition where the winner would receive a recording contract. Sounds like American Idol right? The difference was that the judges would condemn the good singers and praise the bad ones. Contestants who couldn’t carry a note would be falsely encouraged by the judges and as well as stylists, choreographers and vocal coaches, who all toyed with these poor smucks. In the end it was the large breasted Jamie Foss who won the contest. (and yes she was constantly mocked by the judges with references to the largeness of her breasts) She was awarded $50,000 in cash and a $50,000 budget to produce a record, which she never released. The truth of the competition was revealed to her in the finale in front of a live studio audience.